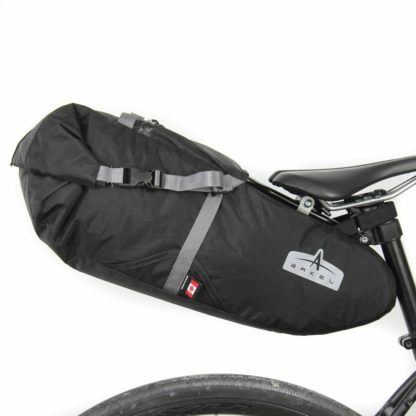 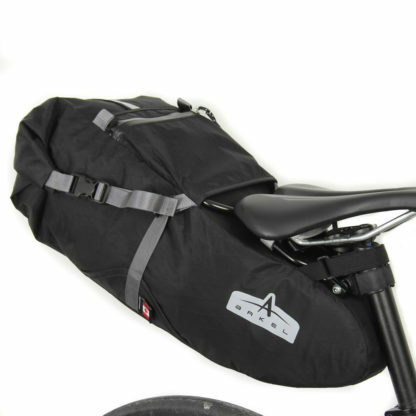 The Arkel Seatpacker 15 Bikepacking Seat Bag with quick release aluminium hanger. 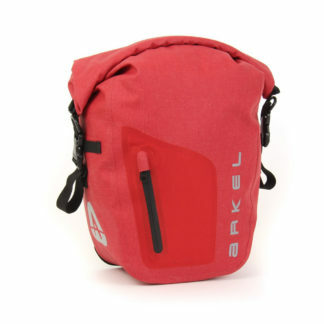 Completely waterproof! Requires a minimum clearance of 8″ from seat rails to top of tire. 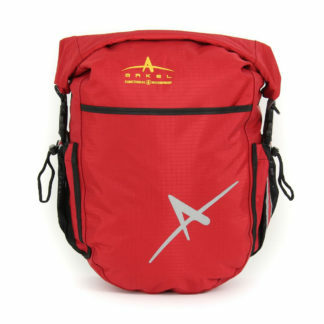 The new Arkel Seatpacker 15 Bikepacking Seat Bag has a quick release lightweight aluminium hanger. 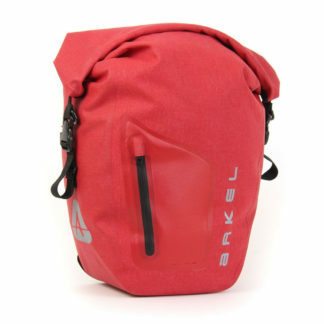 It is completely waterproof with sealed liner, and easily slides on and off for easy packing and handling. 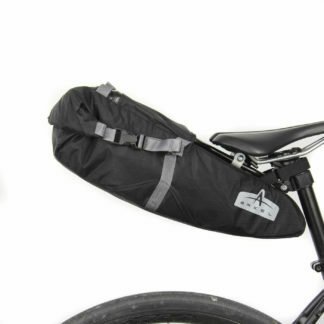 The Seatpacker rack totally eliminates side to side movement (Tail Wag) and it works with dropper posts! 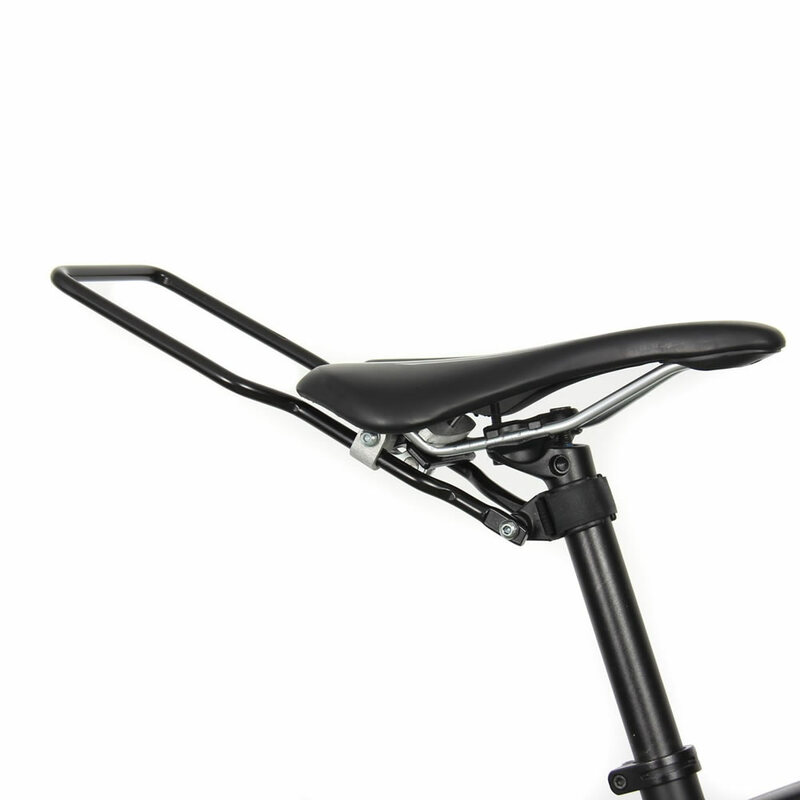 The slim front design and reinforced front panels eliminate thigh rub.